Publicly spoke in support of the dictatorial laws of January 16, stating that their adoption attests to the reform of the Ukrainian legislation in line with European standards. Together with colleagues in the Supreme Court of Ukraine ruled denial of apartment to the 97-year-old pensioner whose house was occupied by a stranger. The European Court on Human Rights (ECHR) twice ruled in favor of the pensioner in the case of “Bochan against Ukraine” and as a result found the actions of Romaniuk and his colleagues as the ones that represent a gross and arbitrary denial of justice. Results of the interview: Yaroslav Romaniuk recognized that his support for the dictatorial laws of January 16 was a mistake, just like the ruling to deprive the pensioner of her housing. 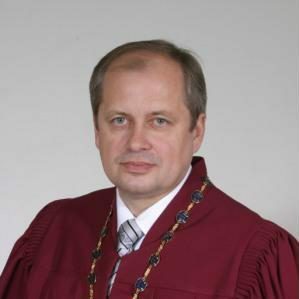 Nevertheless, neither the judge himself, nor the HQCJ panel consider Romaniuk as non-eligible for the position in the new Supreme Court. The HQCJ’s decision on the PIC opinion on this and other candidates will be adopted at the HQCJ plenary session. Has a lasting reputation of a judge with political connections. Before the judicial career, Mr. Vovk worked as an assistant of MP Serhiy Kivalov. He was seen meeting with the BPP MP Oleksandr Hranovskyi, who is called the “curator” in the prosecutor’s office and in courts. Made a “hint” about potential criminal prosecution of the Automaidan activists because they submitted an information query concerning the grounds for the privatization of an apartment by judge Ablov. Results of the interview: Pavlo Vovk believes that his hypothetical appointment as a judge of the Supreme Court “…will be positively perceived by the public, if the public stands for people, rather than activists who say that they are representatives of the public.” According to Mr. Vovk, for public activists to be called the public it is necessary to “undergo the form of democracy called “elections” and represent part of voters”. Was the chairman of the panel that confirmed the political sentence to Yuriy Lutsenko in cassation court and sentenced him to 4 years of imprisonment. As part of the panel, he confirmed the sentence of Dmytro and Serhiy Pavlichenko to lifetime imprisonment and 13 years of imprisonment respectively. Results of the interview: Serhiy Slynko is sure that he did not consider any litigation concerning political prisoners and therefore did not include the facts in his declaration of integrity. However, the Resolution of the Council of Europe dated 14.05.2012 recognized Lutsenko to be sentenced for political reasons. From November 17 to November 23, 2013, the judge allegedly was undergoing training under the program of the National School of Judges in Strasbourg and during this period he was on an official business trip. However, according to the Border Guard, from November 14 to November 23 of the same year, Mr. Stanik was on vacation in Egypt. The judge failed to mention any vehicles in his declaration, although he has the warrant authorizing him to use six cars, including BMW, Porshe Cayenne, Land Rover, Mercedes. Results of the interview: According to Mr. Stanik, he went to Strasbourg through Egypt, visiting according to the first version his mother, and according to the second version his beloved person on vacation. However, the judge failed to provide any comprehensive and convincing evidence concerning such a route. 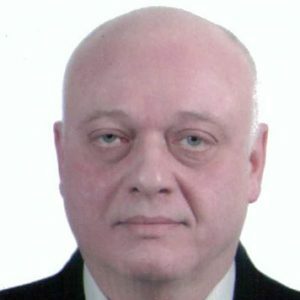 The panel also had doubts regarding his claim that he returned from Strasbourg to Ukraine through Egypt to stay there for two days, because, according to data on the flights that hypothetically could have been taken by Stanik and the data of border guards, the judge could spend just a few hours in Egypt. However, the judge noted that he used the cars and did not possess them, this is why they were not listed in his declaration. Considering the high profile case on the recognition of the privatization of Nikopol Ferroalloy Plant as illegal, the judge showed bias and participated in a press conference organized by one of the parties to the court proceeding. Publicly announced that he received his office in the High Commercial Court due to the Yanukovych regime. 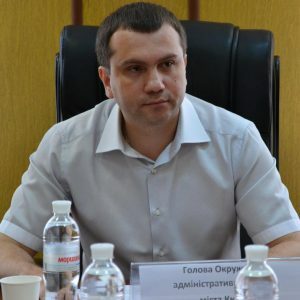 Results of the interview: during the interview, Serhiy Bondar said that he had been promoted to the position of a judge of the Supreme Commercial Court as a result of negotiations with Yanukovych’s “envoys” and allegedly under pressure. At the same time the judge said that the judges who took lawful verdict at the time were dismissed from office. Was one of the judges who ignored the decision of the European Court of Human Rights in the criminal proceeding “Yaremenko vs Ukraine”, which resulted in Ukraine’s repeated loss of the case in the ECHR. The family owns a luxurious house in the suburbs of Kyiv with the area of 470 sq. m. worth more than UAH 11 million. According to an announcement on the estate sale website, the house of the judge was put up for sale for this exactly price. Results of the interview: According to Anatoliy Yemets, the house, near Kyiv is worth UAH 900 thousand and he didn’t put it up for sale. The photos in the ad were taken by investigators and journalists who came when the house was robbed a few years ago. In the case on charges of bribery against a deputy of the local council, the judge Alieinikov banned journalists to carry out audiotaping during an open court hearing, manifesting unethical behavior regarding journalists and representatives of the public who were present at the hearing. In particular, the judge said that there was no such entity as “the public”, and, therefore, no right of the public to record the trial either. Reduced the sentence of a policeman who savagely beat two students from 4 years to 326 days. Results of the interview: believes that he didn’t prohibit to conduct the recording, he only issued a resolution whereby noted the inadmissibility of violations of the rights of the parties to criminal proceedings by recording the proceeding. 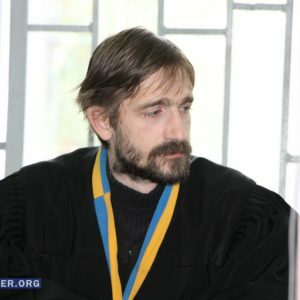 The provisions of Article 27 of the Criminal Procedure Code of Ukraine that provide for the transparency and openness of criminal proceedings and establish the right to use portable sound recording devices in their course unfortunately were not accepted by the HQCJ panel as an appropriate argument. Thus, the question of overcoming the negative opinion of the PIC will be considered at the plenary session of the HQCJ. 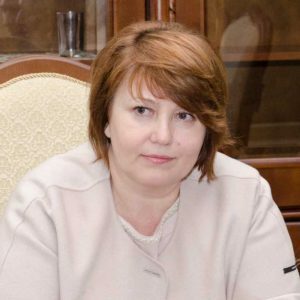 The judge’s sister works in the bodies of the occupation authorities in Crimea in a managerial position of the legislative assembly of Sevastopol. 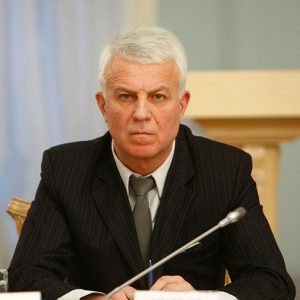 The former husband of Mrs. Simonenko, while still being in the marriage during 2014-2015, maintained and developed business relations with the temporarily occupied territories, and the head of his bar association had legal practice in Crimea by the laws of the Russian Federation. After the announcement of public action organized by the movement CHESNO, Anticorruption Action Center and Automaidan near the HQCJ, Valentyna Simonenko as the Chairman of the Council of Judges of Ukraine addressed the activists with the demand to avoid wearing fake long robes, which she regarded as the acquisition of the authority of a judge. Results of the interview: After a member of the Public Integrity Council voiced the opinion concerning the candidate’s non-conformity with the criteria of integrity indicating a number of violated criteria (including the relatives who work for the occupation authority and activities of the judge presiding over the Council of Judges), the HQCJ members did not pose any clarifying questions to Ms. Simonenko. Instead members of the panel were “interrogating” the PIC member for 10 minutes, questioning the facts that formed the basis for the opinion of the Public Integrity Council.